We love the name of this range. 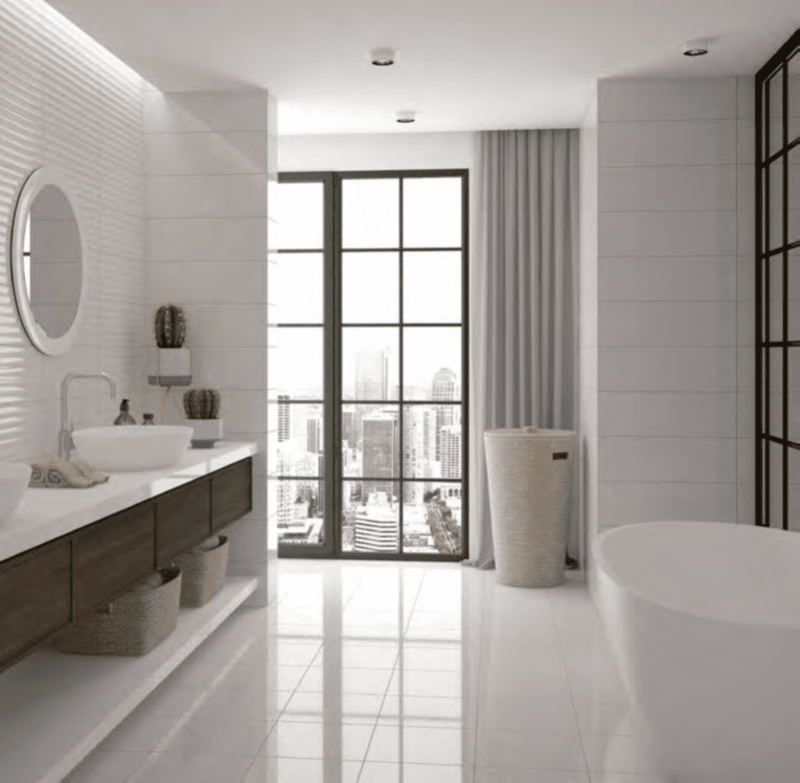 Bristol is a contemporary gloss wall tile range in two modern colours. Gloss tiles allows the light to bounce of them to give a quality clean finish. The Mural décor allows for separation of the plain as a feature wall which adds further quality to the range. Suitable for bathrooms and kitchens. Colours available are blanco and centra. Bristol is also available as a matching gloss floor tile which is also anti-slip making this a very unique range.